Oppo has announced high-end smartphone Oppo N1 this week. 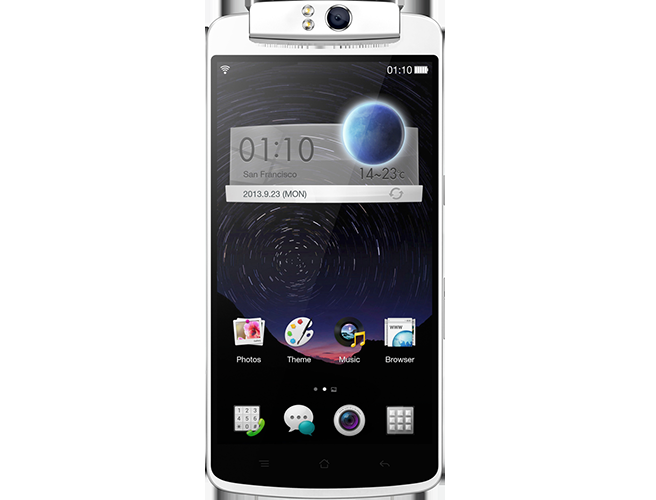 This is the first phone to feature 13 Megapixel rotating camera. The best point in considering this phone for purchase is camera. The camera features 206 degrees rotation and you can also lock it securely at any angle. It has 6 physical lenses and supports dual flash. Another interesting feature of this phone is O-Click, which lets you operate the camera of phone remotely(upto 50 meters). The phone will be launching with a price tag of around $570 in Chinese market next month. The phone will also be available worldwide from December.